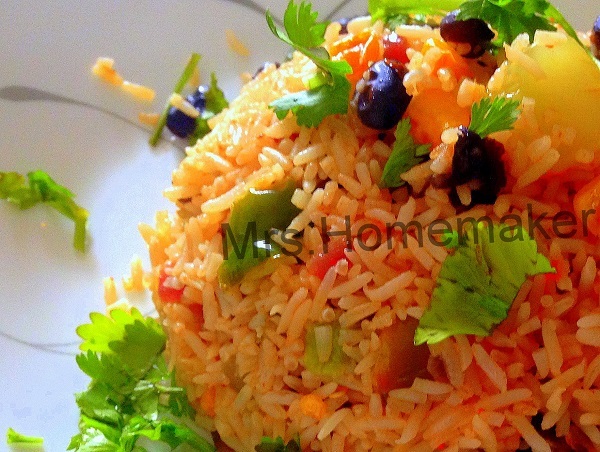 Flavored with all the Mexican cuisine must haves , this rice is an easy , spicy and yummy utilization of left over rice and a nice dish for lunch boxes too . 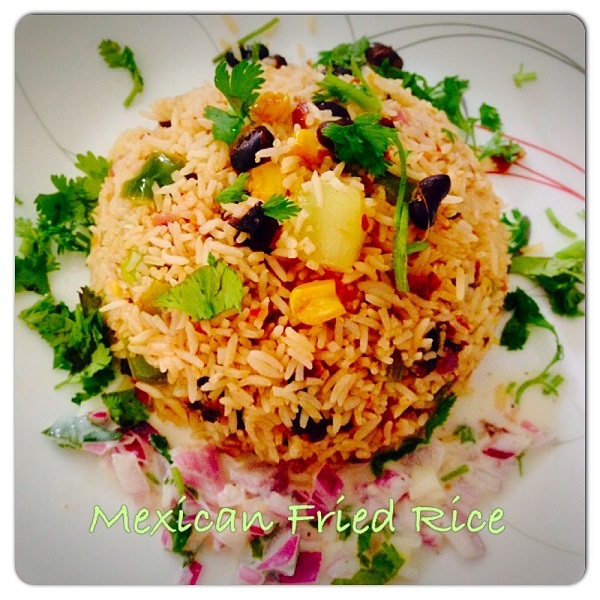 This is an inspired recipe when I have seen boxes of mexican rice with black beans filled many aisles of supermarkets , which is both unhealthy and is loaded with tons of MSG's , so, I thought of re creating that recipe with simple and exotic ingredients at home and made my victory dance with this bold and tangy rice . 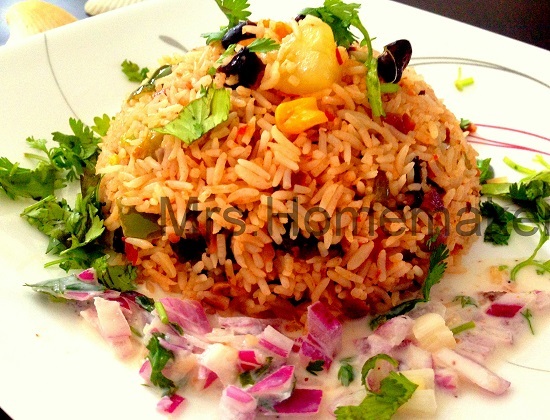 Any dish when spiced up and cooked with veggies esp onions , cilantro and lime juice the taste is multiplied , with all the robust flavors they combinedly offer . You can play with the ingredients like replace the beans with meats. Serve with sour cream topped with onions for maximum taste , & I am sure people will surely ask for more & more . Step 2: Fry for a minute or two and then toss in the tomatoes , cook until they look smooth. Step 3: Finally add cooked black beans along with yellow corn and give a good toss . Step 4: Add rice , add in salt and red chili flakes along with lime juice ,give a quick toss and let sit on the flame for two minutes ,so, that rice can absorb the flavors . 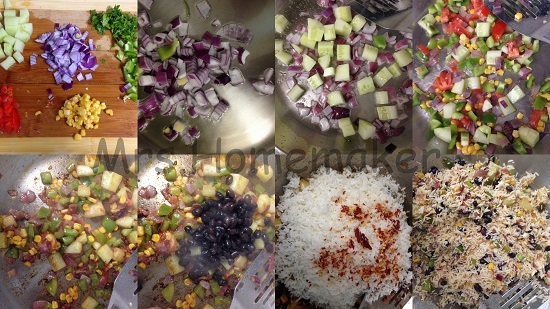 Step 5: Garnish with chopped cilantro and serve hot with sour cream along with finely chopped onions . That looks like rice heaven! It's beautiful!